! 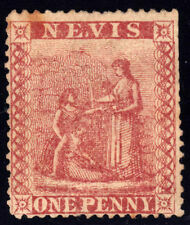 Nevis 1882. Stamp. YT#20. €100.00 ! Your invoice will be updated daily. (Visible on the scans). 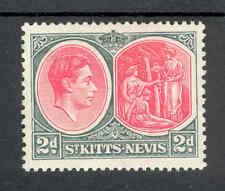 St Kitts Nevis KGVI 1943 SG74b 6d Green Deep Claret Chalky paper P14 Mint stamp Light Hinged. 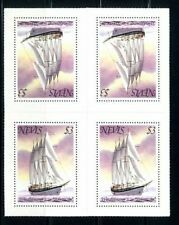 MNH / unmounted mint minisheet in very good condition as per scan. MNG - Mint No Gum. VFU - Very Fine Used. FU - Fine Used. make Supersized seem small. Used - used and in a good collectable condition. MLH - Mint Light Hinged - lightly hinged no hinge remainders. MVLH - Mint Very Lightly Hinged - almost invisible signs of having been hinged. Asking price for this item is only 30% of Scott 2017 catalogue value. MH = Mint Hinged, MLH = Mint Lightly Hinged, MNH = Mint Never Hinged. MS = Mini Sheet. Sc = Scott Catalogue Number, Cat = Scott Catalogue Value, SG = Stanley Gibbons Catalogue Number, UNC = Used No Cancel. Fine mint unsevered strip of 3. (Unsevered pair cats £120 ). A bit grubby. 6d is perf 14 wmk cc. 4d is ca wmk. All lots are sold as described. 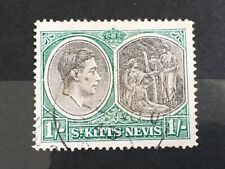 ST.KITTS Nevis Fine MINT Group of KGV stamps Identified by SG No. ALWAYS HAPPY TO COMBINE LOTS. 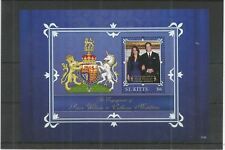 SG 60 MINT NHCat value £800 Black and purple/red Outstanding color and preservation. Gem. When you buy more than one item from us at the same time we combine postage and packing charges. All packages are water-proof fully insured. St Kitts, Nevis & Anguilla - 17 mint, unused aerogrammes. See pics for details. See pics for details. Any problems WILL be an honest mistake and I will be happy to resolve it! Scans show both front and back. Scans show both front and back. 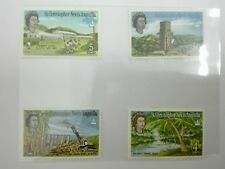 Complete set of 4 values - Unmounted Mint / Mint Never Hinged. MNH (Mint Never Hinged). Used – Cancelled. Pencil # (Pencil writing on reverse of stamp, usually catalog number &/or price). 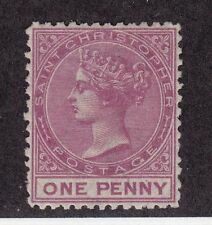 Rem or Remnant (Paper or Hinge Remnant on reverse of stamp). St Kitts, Nevis and Anguilla - 1968 Christmas. Scans show both front and back. 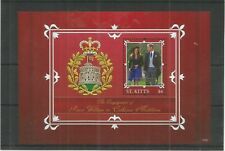 St Kitts-Nevis 1949 KGVI Silver Wedding set complete MNH. SG 80-81. Sc 93-94. 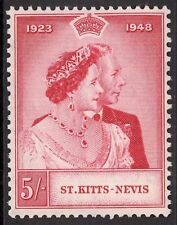 St Kitts-Nevis 1949 KGVI Silver Wedding set complete MNH.